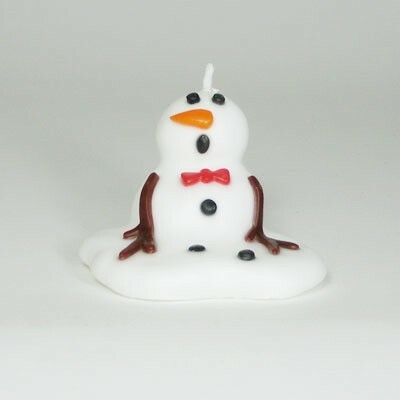 A popular holiday decorative shaped handmade candle. This candle has no fragrance and is made with pigment color, meaning it will last for years without fading if stored in a cool, dry place. Candle Dimensions: 3" x 2". Handmade by Waxman Candles of Lawrence, Kansas.